Open house marketing is just one of the many techniques Merry Soellner uses to help sell your real estate. 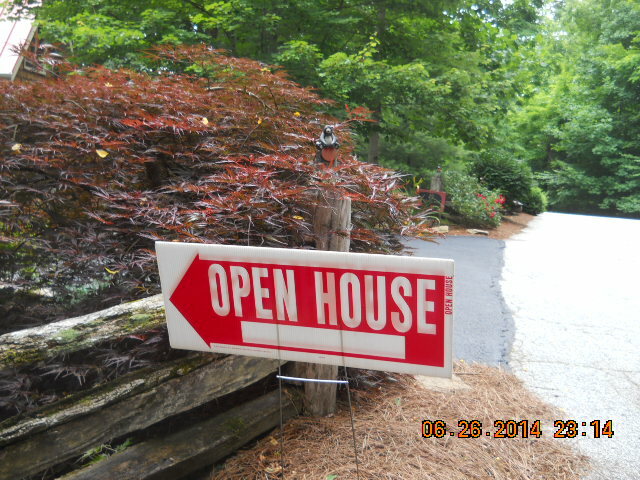 open house marketing: one of Merry Soellner’s strategically planted open house signs during her events to draw in other brokers & the public. (C) Copyright Merry Soellner, 2014. Contrary to popular opinion, open houses are usually not where possible buyer from the general public attend, then make an offer to buy. Rather, knowledgeable real estate brokers like Merry Soellner, invites other BROKERS to attend the open houses she conducts, enlisting their aide in helping to market your home, land or other real estate property. 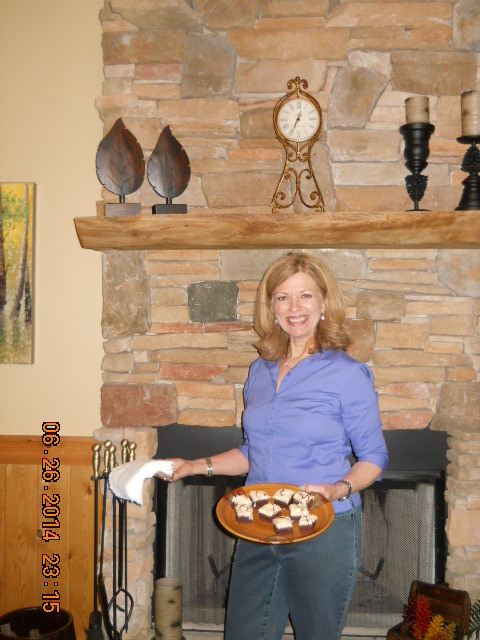 open house marketing: Merry Soellner hosts her open house events with goodies to entice other brokers & neighbors. Let’s see: those are cheesecake brownies! I think I’ll get on over there and have one (or two)! Using Merry’s special emailing software, she creates a handsome invitation, then “blasts” it out to hundreds of local realtors, inviting them to attend her open house. Not all of them attend. Perhaps 5 to 20 would be a typical reasonable number for an open house attendance. Some realtors may experience less, when they do not manage the process like Merry. open house marketing: Merry makes sure that beautiful features in your home are emphasized during the event, like this tall fireplace rockwork. 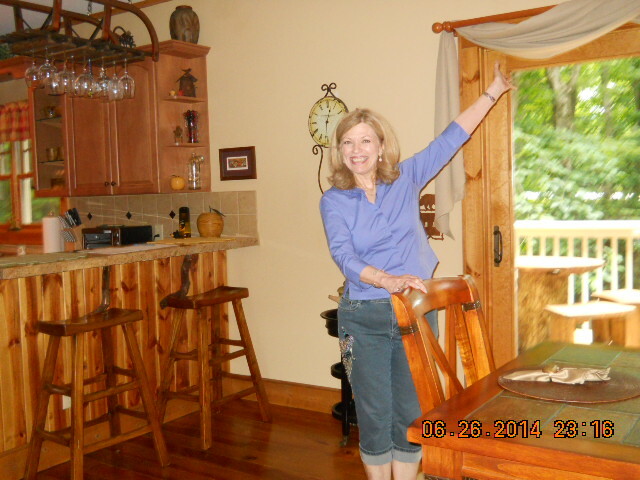 And Merry makes a point to attend other realtor open houses so that they will feel a debt of gratitude to attend hers. Merry is a nice person, and her friendliness, cheerfulness and helpfulness win the assistance of others to help in selling your property. Once in a very big while, you might have a curious neighbor or two attend, but that is rare. Merry posts several OPEN HOUSE signs starting at the main thoroughfare, and at every turn to another street, to guide people to her open house marketing events (see photos on this page). Merry wants people to easily find your home. Merry also coordinates with other real estate brokers from her office and others, to have multiple open houses of several homes in a given neighborhood. Merry has discovered that this creates more interest, in having a “critical mass” of homes to see. Sort of why shopping centers are more successful than individual stores: there’s more there to see and do and more choices. open house marketing: Merry goes through the house, opening up draperies, to maximize the views to increase the chances of interest and a possible sale. 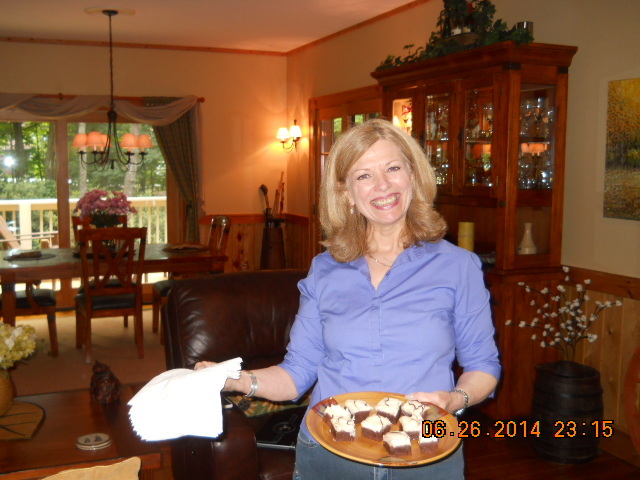 And Merry often has goodies at her open houses, to entice other people to attend. Free food and drink are excellent people-magnets. Sometimes, Merry and other brokers conduct a themed food event, such as English biscuits and tea at an open house for an Old English style home. Whatever she can do to make the event fun, interesting and most importantly, to show off the positive characteristics of your property. Merry will scrutinize your house and make suggestions for furniture rearrangement, decluttering and window drape adjustments to maximize the views, light and ease of circulation through your home during the open house. After all: you and her want your house to sell! 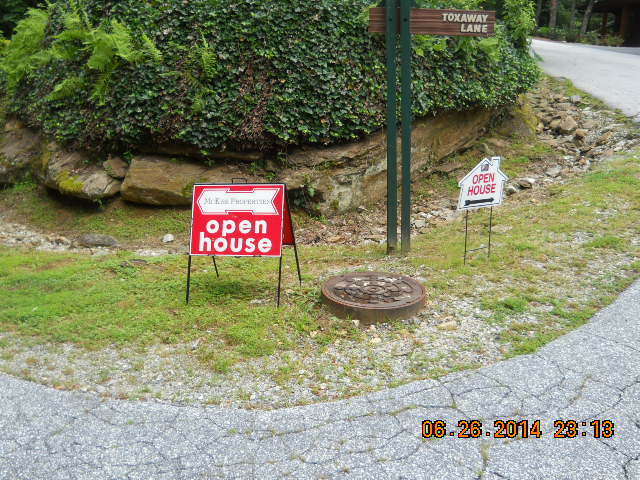 open house marketing: Merry locates multiple open house signs to direct traffic to your door.